PHOTOS OF SIMILAR HOME This is your chance to get under contract and choose your floor finishes, granite colors, etc. This popular plan has been enlarged and is one of the few plans with a shower and whirlpool tub in master suite. The downstairs half bath is convenient when coming in from the beach. The expanded kitchen cabinetry, and pantry is a chef's dream. Hardwood in the living areas and carpet in bedrooms is standard, however total hardwood is an option. 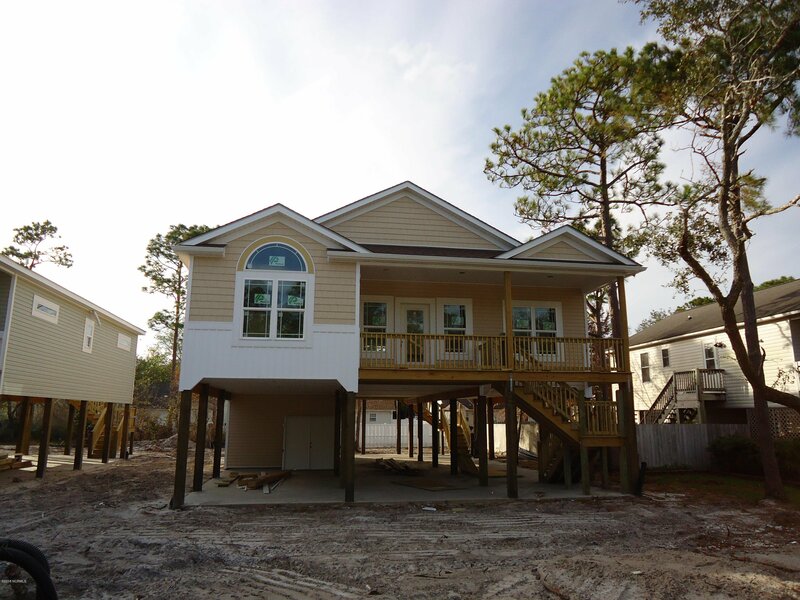 Listing courtesy of Coastal Development & Realty Oak Island. Selling Office: Coldwell Banker Sea Coast Advantage.